Perhaps the year’s most deceptively simple film, J.C. Chandor’s singular crime drama tells a seemingly small story about a man and his wife trying to expand their heating oil company during New York’s most historically violent year, and through the narrative slow-burn gradually reveals a fascinating, rich, incredibly deep exploration of power. Protagonist Abel Morales is a good man, with a deeply-rooted set of values, and he wants nothing more than to build a successful business without sacrificing his morality. The film’s quietly gripping drama comes from seeing the net of capitalist corruption close slowly around him, as every avenue for maintaining decency is coldly shut down, one by one. It’s a brilliant, piercing parable about the dance between power and sacrifice, a business drama in the guise of an organized crime story, and with plenty to say about both. Bradford Young’s incredible photography – a dynamic mixture of golden-brown lighting and deep, rich shadows – would make Gordon Willis proud, while Oscar Isaac’s precise, riveting performance is like the second coming of Al Pacino in The Godfather. The film probably stumbles most in underdeveloping Abel’s wife, but Jessica Chastain is so good in the role, so fierce and committed and compelling, that it hardly matters. Honestly, A Most Violent Year is a film I would need to see again before making a complete judgment (my first viewing was on a decent but inadequate DVD screener), and after catching it on the big screen, my estimation of it might push it much further in this overall countdown. For now, though, it is enough to say that this is definitely among the year’s best, a film that is reminiscent of classic crime dramas in so many ways, yet unique to revelatory degrees. 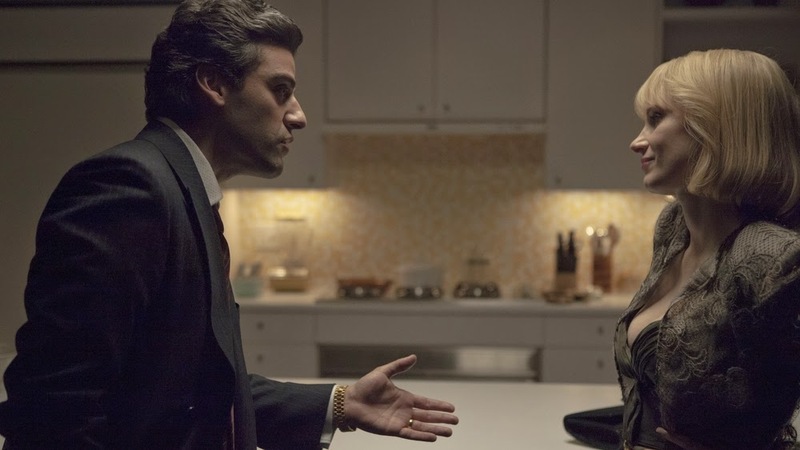 A Most Violent Year opens in limited release on December 31st, and will expand nationwide in January. 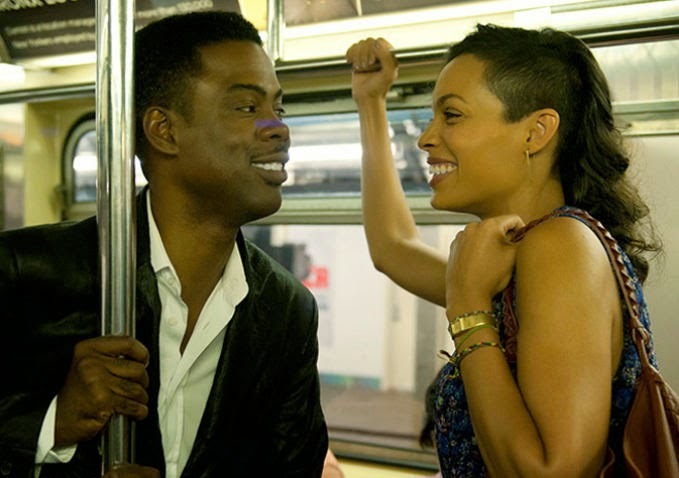 Chris Rock is simply operating on another level in Top Five, as writer, director, and star. The film is not a ‘romantic comedy’ as we typically envision it, but it is so wildly funny from top to bottom, infused with such creative comic energy and a palpable sense of joy, and it is so terrifically romantic, with a lovely central chemistry between Rock and Rosario Dawson, that the film puts most movies to wear that label to shame. Moreover, Top Five actually has something to say about comedy, about the way laughter can be both a tortured and redemptive force for a person, and it explores romance with an equally sharp and insightful eye, passionately probing at the difficulties of being open with oneself or another in a relationship. It’s also a great film about celebrity, honest and inviting without being insular or tin-eared, and it’s a terrific expression, top to bottom, of Rock’s wonderful, singular voice. Top Five is the kind of film all comedies should aspire to be, providing big laughs and breezy entertainment with a strong, fiercely intelligent heart underneath, and I struggle to think of many better, richer crowd-pleasers playing this holiday season. Top Five is now playing in theatres. No film this year made me laugh even an ounce as hard as this one, and that counts for a lot in my book. It takes an extraordinary amount of skill to craft comedy this simultaneously funny, inventive, insightful, and even, at times, sweet, but then, Phil Lord and Chris Miller are miracle workers of a sort, taking film concepts that should probably never be produced – like a 21 Jump Street movie or, indeed, a sequel – and making something truly special. Jonah Hill and Channing Tatum are once again spectacular, their on-screen friendship as comically rewarding as it is heartwarming, and the film’s self-awareness of Hollywood sequel tropes is tuned just right. And really, it’s two sequences in particular that pushed this film onto my Top 30, two scenes that had me laughing so hard it literally hurt: First is Ice Cube raging out at the buffet (one of the best scenes in any movie this year, across all genres), and second is that glorious, loony, pitch-perfect end credits sequence imagining the many, many future sequels that will hopefully never come, because the unlikely Jump Street series is just about perfect as it exists. 22 Jump Street is now available on DVD and Blu-Ray. This film was just an outright treat. A supremely badass action flick with a superb sense of visual style, a creative illustration of an underground assassin culture, and a genuinely touching existential undercurrent. 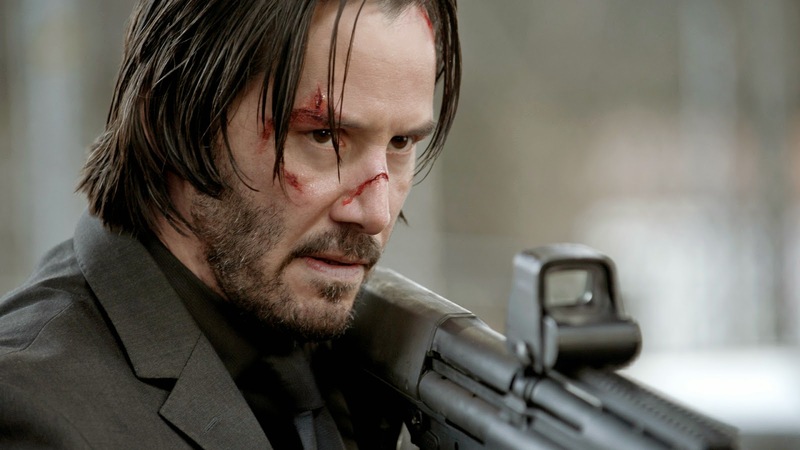 John Wick is smart and savvy about its subject matter in ways few action films ever are, and it’s simply bursting with great performances from a laundry list of beloved character actors. But it’s in the meta-revival of leading man Keanu Reeves that John Wick shines brightest, his expertly subdued performance offering an intense reminder of what a talented actor and action star the man really is. His second act outburst – resulting in the classic action movie line “Yeah, I think I’m back!” – is simply one of the most exhilarating, memorable movie moments of the past year, a shining high-point in a consistently terrific and original action achievement. John Wick arrives on DVD and Blu-Ray February 3rd. People already seem to have forgotten the intense cynicism that surrounded this film from the time it was announced until it hit theatres, at which point it proved so incredibly fun and creative that it instantly became one of the year’s most beloved movies. Indeed, Marvel swung for the fences with Guardians of the Galaxy, and James Gunn delivered something truly special. It’s a gorgeous film, for starters, filled with some of the best sci-fi production design and effects I’ve seen in years (to my mind, Avatar has nothing on Guardians), along with some great old-school make-up work. But it’s the characters that make Guardians as great as it is, because even though I have a few stray problems with the script – the turn from lovable ruffians to determined galaxy-saving heroes comes far too quickly – Star Lord, Gamora, Drax, Groot, and Rocket Raccoon make up for each and every one of them in spades. Chris Pratt becomes a movie star right before our eyes, Bradley Cooper infuses Rocket with one of the most compelling screen personalities of any character this year, and Vin Diesel’s many variations on “I am Groot” are simply wonderful. 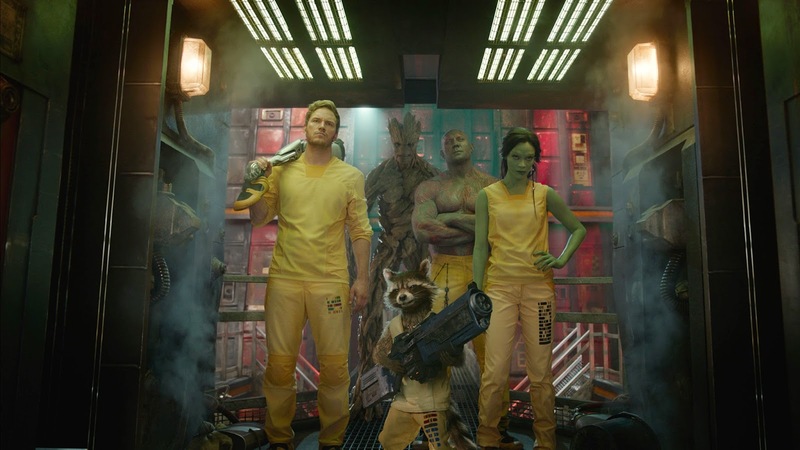 The depth and chemistry of this group of characters is even deeper than what Joss Whedon achieved with The Avengers, and they’ve propelled Guardians of the Galaxy from an obscure, expensive risk into one of Hollywood’s most exciting new franchises. It’s an achievement that proves, if nothing else, that Marvel is playing this game better than anyone else. Guardians of the Galaxy is now available on DVD and Blu-Ray. Need further evidence of the insanely high level Marvel is operating at these days? Look no further than The Winter Soldier, the best film the studio has yet produced, and one of the great action blockbusters of our modern superhero era. 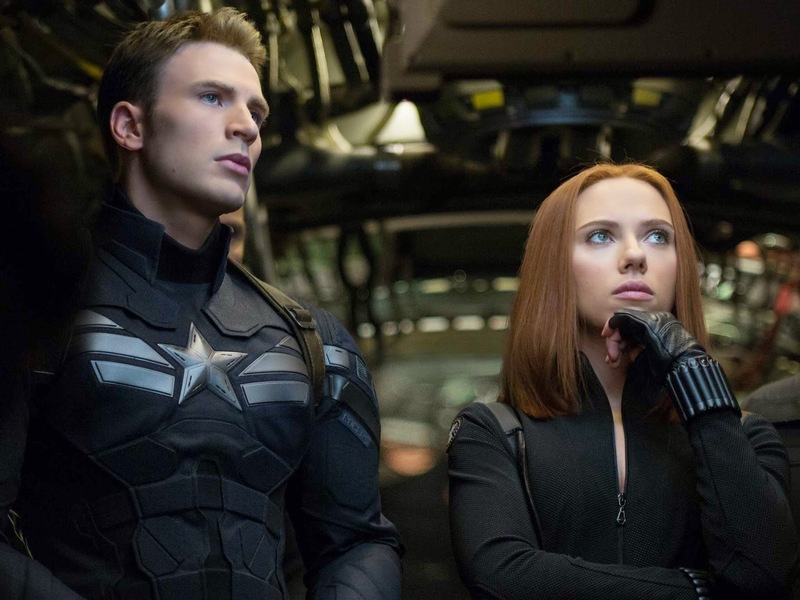 Joe and Anthony Russo attacked this film like they had something to prove, and prove it they did; with sharp, tense storytelling, great performances from a large but well-balanced cast, and some of the most inventive, expertly shot action in years, on scales both intimate and vast, the second Captain America is a phenomenal rush of cinematic energy. Chris Evans is simply terrific here, and combined with some very good writing – which smartly considers the implications of how Steve Rogers would react to our modern world – The Winter Soldier solidifies Captain America as the best of our modern superheroes. He’s taken Tony Stark’s spot as the lynchpin of the Marvel universe at this point, just as the film itself proves Marvel need not wait for another Avengers film to make a major event picture. Captain America: The Winter Soldier operates as character study, high drama, and wondrous spectacle all at the same time, and as a result, it’s the new high bar everyone making comic-book movies should aspire to surpass. Captain America: The Winter Soldier is now available on DVD and Blu-Ray. 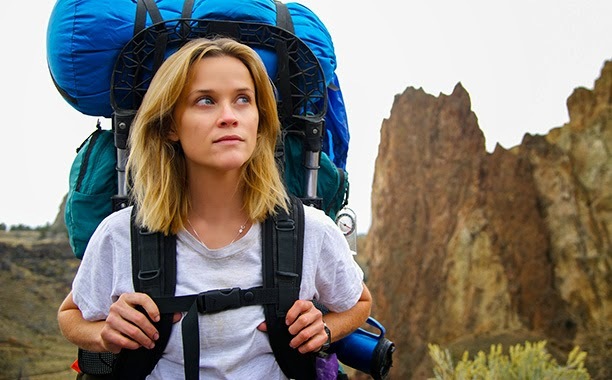 A stirring cinematic illustration of a largely internal, personal journey, Wild is among the year’s most visually and emotionally rich pleasures, and in Reese Witherspoon, it features one of 2014’s single greatest performances. This is a truly moving film about overcoming grief, guilt, and other internal barriers, earning its many inspiring moments with a level of honesty ‘true-life’ stories so rarely achieve. The tale of Cheryl Strayed and her 1,100 mile hike along the Pacific Crest Trail is the sort of subject I could easily envision being destined for simple Hollywood schlock, but Jean-Marc Vallée brings a real sensitivity and intelligence to the proceedings, elevating Wild to one of the most rich, profound, and downright engaging films of 2014. Wild is now playing in theatres. As a big fan of Hayao Miyazaki and the works of Studio Ghibli (I devoted much of this year to writing about the director, after all), I expected to enjoy this documentary from Mami Sunada, which chronicles the final year of production for Miyazaki’s last film, The Wind Rises. Some production tidbits, some behind-the-scenes footage, some insight from Miyazaki himself – that’s what I expected to see, and I thought it would maybe be a good resource for the Thesis I was writing. 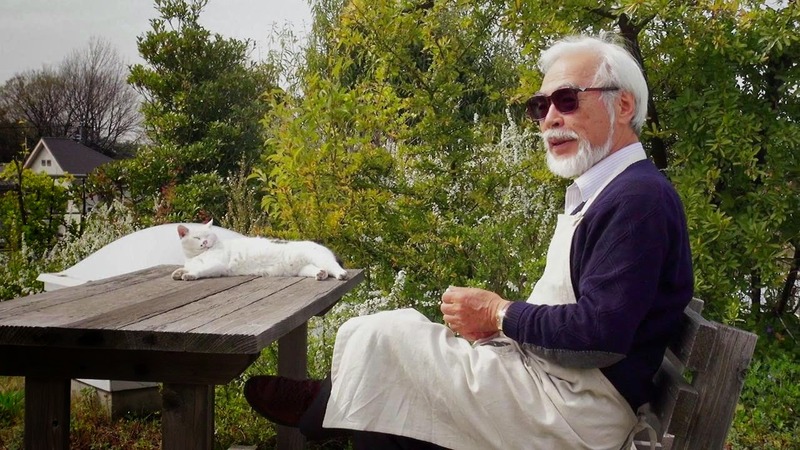 Instead, The Kingdom of Dreams and Madness absolutely bowled me over, providing everything I initially wanted in spades, but also going much, much deeper, probing at the heart of the creative process in ways both illuminating and emotional. This is one of the best behind-the-scenes looks at a great filmmaker ever produced, offering volumes worth of fascinating information about Miyazaki’s artistic process and philosophies, and illustrating the culture at Studio Ghibli with completely immersive precision. Sunada captures and arranges her footage with the most graceful lyricism, and by the time the credits roll, one feels as if one has spent an entire year in the shoes of Miyazaki and his co-workers, and come to a much deeper understanding about what it means to create – to pour all of one’s heart, soul, and energy into something – as a result. There are whole sequences in this film that are just stunningly beautiful, either in visuals or in content – a scene in which Miyazaki hears from a man his father helped during the war, and thus begins reminiscing on his own wartime experiences, is simply incredible – and on the whole, it might well be the best behind-the-scenes documentary I have ever seen, for any film or filmmaker. 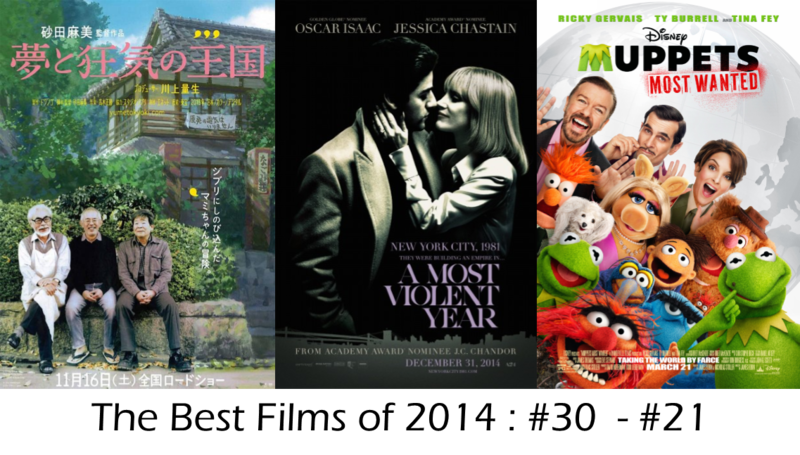 It is a great movie in its own right, viewed separately from the film it chronicles, and as a devoted student of Miyazaki’s work, few films this year were more powerful. The Kingdom of Dreams and Madness recently received a theatrical run in New York, is currently playing on VOD services, and will arrive on DVD from GKids on January 27th. It is currently available on Blu-Ray in Japan, which I would personally recommend importing (it looks beautiful and has English subtitles). Back in 2011, franchise reboot The Muppets was my #2 film of the year, a decision I stand by to this day. James Bobin, Nicholas Stoller, Jason Segel, Bret McKenzie and company crafted a creative, hilarious, emotionally resonant return to form for these characters, and if their follow-up, Muppets Most Wanted, doesn’t quite have the same depth or impact, it makes up for it with better songs, new characters, and a non-stop barrage of some of the funniest, silliest humor you’re likely to see this year. In fact, one could argue that where The Muppets did right by our nostalgia for these characters, Muppets Most Wanted is truer to the actual spirit of the series. Compared to the previous film, it uses its guest stars in more significant ways (Tina Fey, Ricky Gervais, and particularly Ty Burrell are all a blast here, and that’s only the tip of the iceberg), has a much zanier sense of humor, and builds the sort of big, silly caper plot Jim Henson and Frank Oz would no doubt be proud of. 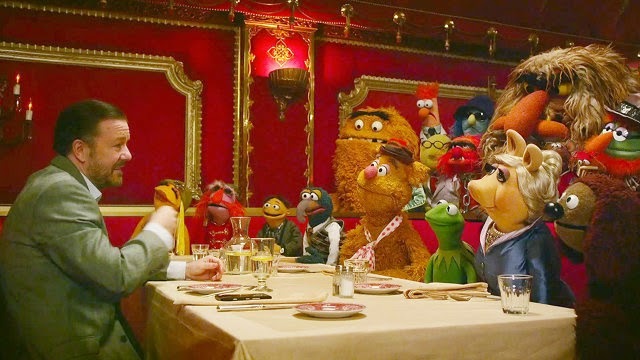 The Muppets is probably a better ‘movie’ overall, but Muppets Most Wanted might just be a better ‘Muppet movie,’ and that is an enormous pleasure indeed. While the film underperformed at the box office back in March, I sincerely hope Disney finds a way to let this creative team continue the franchise, because they understand the Muppets better than anyone since Henson’s original crew. And when the Muppets are at their best, firing on all outrageous cylinders as they are here, there is little else I enjoy more. Muppets Most Wanted is now available on DVD and Blu-Ray. Everything is indeed awesome in The Lego Movie, a film that by all rights should have been a soulless commercial cash-grab, and is instead a wondrous celebration of creativity (this is Lord and Miller’s specialty, after all). The film has such a big imagination, using the LEGO license to envision some truly incredible worlds, and to deliver an endless assortment of vivid personalities, wild set-pieces, and crazy, utterly unique jokes. But it’s also a film about imagination, not just as a function of playing with LEGO bricks, but as a way of moving through life. Were the film any less smart or compelling, that third-act shift to the real world could so easily have been terrible; instead, it’s the film’s masterstroke, connecting the film’s fun, silly excitement to a tangible lesson about the very real power playtime has in our daily lives. I always argue, when writing about animated films, that children deserve the very best, and The Lego Movie exemplifies that philosophy. Kids are guaranteed to have a blast with the film, but it isn’t just empty calories; it’s a clever, rich, and nurturing film, and while it may be designed to sell more LEGO sets, it doesn’t pander or look down upon its audience. 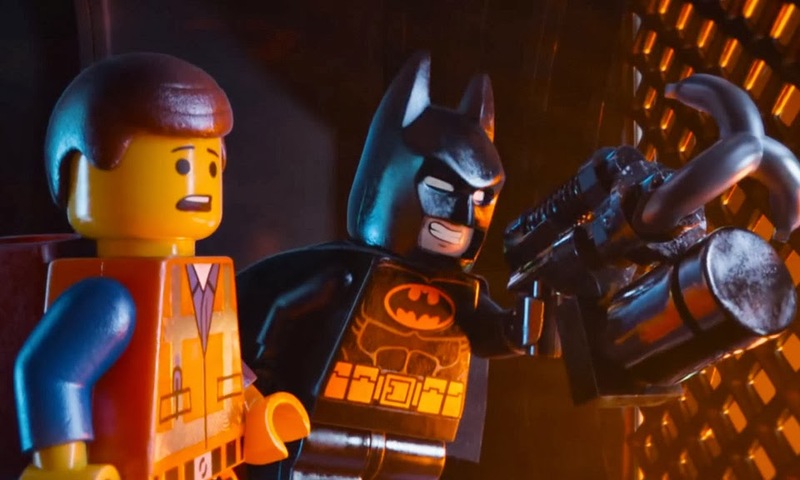 The film is a pleasure for adults as well, and on the whole, The Lego Movie may well be the modern ideal for what an animated comedy should be; that it’s one of the very best films of 2014 seems almost like a secondary accomplishment. The Lego Movie is now available on DVD and Blu-Ray. Lynn Shelton’s Laggies flew pretty far under the radar when it came out a few months ago, but it’s a really smart and enjoyable portrait of aimlessness and emotional confusion, and in Keira Knightley’s charmingly raw performance, it features one of the best pieces of acting to hit screens this year. Speaking of acting, few films in 2014 played host to more committed performances than those by Steve Carell, Channing Tatum, and Mark Ruffalo in Bennett Miller’s chilling Foxcatcher, a provocative study of broken people grappling with obsession. On the other end of the spectrum, Big Hero 6 was another entry in this year’s fine line-up of animated pleasures, a by-the-numbers superhero origin story with a strong beating heart, and one of the year’s best character creations in the puffy, lovable Baymax. Festival films 1001 Grams and Two Days One Night are each remarkable in their own ways; one is an excellent, insightful character piece with a unique narrative setting, the other a tight, involving story about a woman dealing with clinical depression and an economic downturn. James Marsh’s The Theory of Everything is a better biopic than I would ever expect to get about the life of Stephen Hawking, with transformative work from Eddie Redmayne and a tremendous amount of quiet power from Felicity Jones. Fan-funded independent film Angry Video Game Nerd: The Movie was a wonderfully passionate exercise in cinematic voice and enthusiasm, and seeing it in a theatre with a large crowd of devoted fans was easily the most fun I had in theatres all year. Those are all films I would put in top considerations for the #40 - #31 range, if I were ranking things out that far. Beyond them, there are films like The Hobbit: The Battle of the Five Armies, which is imperfect in many of the ways we have come to expect from Peter Jackson’s Middle Earth prequels, but also emotionally resonant to degrees Jackson has not achieved since The Lord of the Rings. Darren Aronofsky’s Noah is not entirely successful, but it’s a unique, intelligent, and incredibly atmospheric take on one of history’s most well-worn stories, and a pretty powerful experience in its own right. Bill Murray is simply fantastic in Theodore Melfi’s St. Vincent, and if the film around him is the height of convention, it is at least well-told, well-meaning convention, and a pleasure in its own right. Hollywood released a number of surprisingly strong blockbusters this summer, including Dawn of the Planet of the Apes, Godzilla, X-Men: Days of Future Past, and Edge of Tomorrow, while Nicholas Stoller continued to build out his impressive comedy resume with the riotously funny, delightfully silly Neighbors (if you’re looking for a Seth Rogen fix after the cancellation of The Interview, that would be a good film to check out). And that about does it for 2014. If you have not done so already, continue the countdown with the #20 - #11 list, as well as The Top 10 Films of 2014. Sound off in the comments with your thoughts on the best of the year, and have a safe and happy holidays! Finally, the good movies...hehe. I'm a big fan of your work and I'm really looking forward to your next podcast! Thanks Kenny! We'll have another podcast ASAP...it's just a little chaotic getting together to record right now. But we have so, so much to talk about. We'll probably do a few all at once when we have the time. Doctor Who, The Hobbit, Best of the Year...it's all coming soon. Thanks again!